• Ten Multicolor Crochet Threads. 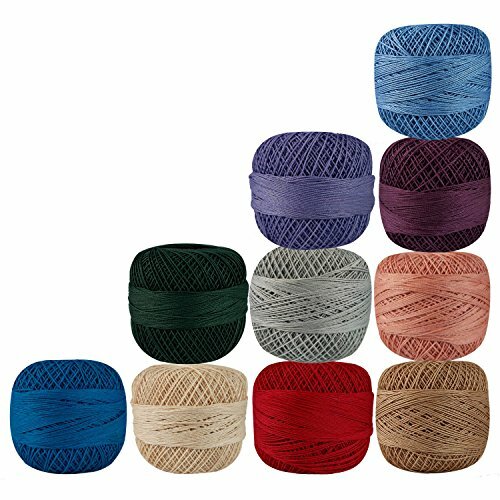 Stunning 100% Cotton Thread for Knitting, Crochet, Embroidery and making Tablecloths, Table Mats, Curtains and Cushions etc. ►►Note: You can also buy 10 balls/spools of a color of your choice from the shade card. Please buy this item and email us the color number given in the shade card. We will ship the item according to the color number sent in your email in place of this item/color.